It has been a while since posting an update on the game. I am making good progress and excited to see it really coming alive. Working on it part time seems to make everything take longer than I would like though. I hope to start showing more details soon. With the switch to miniature scale and third person there is now a main character that the game is focused around. This has both positive and negative trade-offs that I have discussed previously. I do have plans in the future to eventually go back and work on a first person full scale version using touch/vive controllers, however that whole concept is superseded by just getting the game done! With this update I thought I would reveal the main character, some of her abilities, and how the control and interaction works with her. This update has screenshots and information about the game that is likely spoiler worthy so I am warning you now! Riley Taylor is an archaeologist turned treasure hunter who loves to uncover mysteries and find hidden artifacts. Her discovery of the location of Ching Shih’s lost treasure fleet is both a triumph and a curse. Becoming stranded in the process was not expected and she must find a way off the island or her discovery and the treasure she collects will be for nothing. 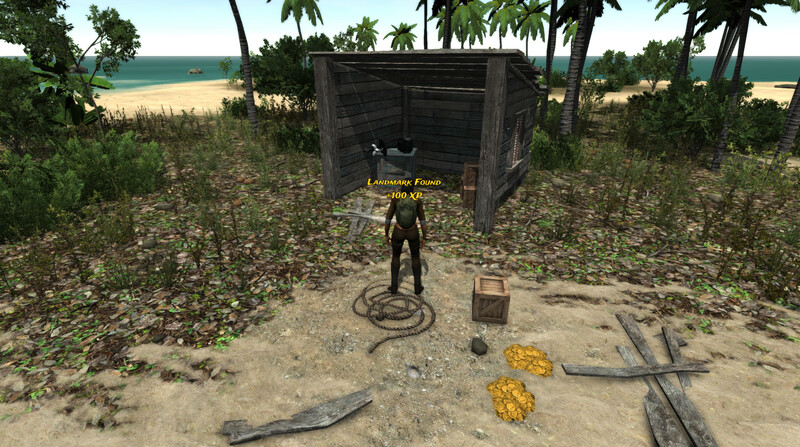 As you can imagine, the story deepens as she begins exploring and uncovering the island’s past. Things turn more ominous as she realizes she is not the first one to have discovered its location. I chose a female adventurer type as the main character because I really like Tomb Raider and Lara Croft and I am inspired to bring a little bit of that feel into Lost Loot. This also meshed with my work on Amulet Of Shadows which was meant to be an action role playing game with a female main character. Riley will respond to the player in subtle ways. She moves the way the player does and looks wherever the player is looking mimicking head movements. 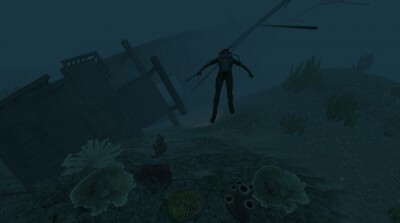 This is important when you find the headlamp and are in the deep ocean exploring a shipwreck. Also when the character screen is shown Riley turns to face the player and will look up and stare at the player. I hope to add some other fun and interesting behavior that is a reaction to what the player is doing such as her acting impatient if she is idle too long. All of these things can add additional depth to her and make her feel more alive. Riley will also add a whole additional dimension to the story. This will be evident in the way she reacts to places and events. One of the methods of delivering the story is accomplished through Riley “thinking to herself” about places, things, events and so on. These are delivered as text above her at key points in the game. She will also respond with snarky or humorous comments when the player is trying to do something stupid. These will at times provide guidance and at others just be a bit of humor to keep the game fun. I am not sure how all of this will come out in the end, but it will likely be somewhat unique. Another game that has inspired Lost Loot functionality is the Diablo series. The approach to the character, items, equipment, etc. are all kind of inspired by that series. Riley will have a basic set of three abilities/reservoirs and a small set of skills that cover and expand what was in the pre-alpha. Abilities are simply ranges with text descriptions and that is another system making its way from Amulet Of Shadows. The range looks like this – Pathetic (-3), Inferior (-2), Weak (-1), Moderate (0), Strong (+1), Extraordinary (+2), Heroic (+3). The reservoirs are just counters with a capacity and regeneration that limit everything. Stamina is exhausted when sprinting, jumping, reaching during climbing, etc. Focus is reduced performing actions like lock picking, driving the boat, and fighting. Fighting with the machete drains both stamina and focus while using the speargun or pistol only drains focus. Of course if life is drained to zero Riley dies, while the others simply prevent further actions until they regenerate enough. Also, there will be many other things in the game that drain these reservoirs. In general these reservoir stats are hidden and hitting the bottom is more visual/auditory with effects, sounds and so on. You may be thinking Intellect = Magic. That is a firm NO! There will be some magic in the game, however it comes from the dark past of the island, which I will not reveal now. Riley will be able to find various magical items that will enhance her abilities/skills etc. But these will be well hidden or hard to get. Each skill has multiple levels providing improved abilities and other bonuses I am not revealing here. Equipment is required in some cases and more advanced equipment can require a minimum skill level. The equipment must be found and have their own bonuses/detriments. There will be some well hidden rare equipment that gives nice bonuses to its associated skill and other stats! 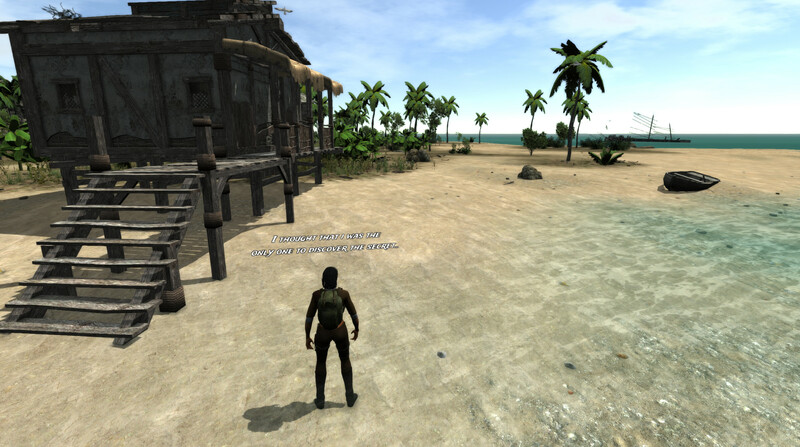 The core of the game is exploration and treasure hunting which is what must be done for Riley to collect experience. This experience is then turned into level increases and those award bonuses to the abilities and provide skill points to be used in increasing skill levels. It will be important to choose the initial skills wisely as wasting points may limit reaching areas with more treasure to find and recover. As usual, please don’t hesitate to give feedback in the comments. Also, check out the Vision Summit 2016 keynote. Sadly I was not able to go to this conference and missed out on a Vive! However, I am looking forward to finally having a Rift in a few months to use when showing the game to people – hopefully all my optimization work will pay off. Goodbye DK2! Tagged abilities, character creation, diablo, lost loot, riley taylor, skills, stats, tomb raider. I check back on this project every couple of months, one of my favorite demos so far with the dk2, excited to see it continue. Thanks for the support! Things are a little slow right now because I have a new job (also doing VR/AR! ), but I will be working on an update of the pre-alpha for 1.3+ and the commercial Rift soon. I am also trying to get the alpha version far enough along so it can qualify for early access in the Oculus store.